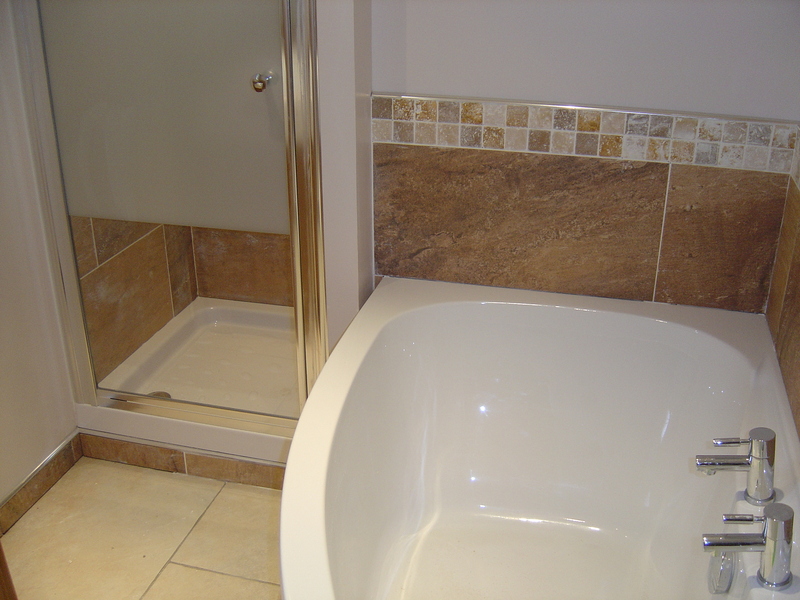 A Corner bath offers an alternative to the shower, shown in the picture. The bath again in brand new and side turning chrome taps offer hot water at any time of the day or night. Theres enough hot water at any one time for several baths of a full family of showers!